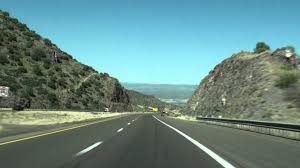 Arizona’s Department of Transportation is calling on motorists to do their part to increase safety on Interstate 17 north of Phoenix, while they try and identify and find funding for projects that will widen the already congested thoroughfare. They say motorist must start making better decisions to avoid fewer road closures, backups, accidents, and even fatalities. At the center of the controversy and improvements is a steep and dangerous winding section of I-17 that runs between Black Canyon City and Sunset Point. What Factors, Considerations and Drawbacks Await the I-17 Improvement Projects? Passengers are also urged to be vigilant and good co-pilots, and watch to make sure their driver isn’t disregarding any traffic laws or distracted driving. ADOT plans to launch an I-17 safety study project in 2017 to focus specifically on the area between New River Road and the Sunset Point Rest Area. Plans call for erecting several electronic signs that has “speed feedback” signs warning drivers of their speeds, and new signs will warn drivers of dangerous curves, and signs displaying road conditions. Have you or a loved one been injured or in a fatal car crash along I-17 or another Arizona roadway and the other driver was at-fault? If so, a Phoenix Car Accident Lawyer at the Law Office of Richard Langerman is here to take your case and bring you the justice and compensation for damages you deserve. For more than 25 years, the Law Offices of Richard Langerman have been serving clients and aggressively defending their rights both inside and outside of the courtroom against defense attorneys, corporate lawyers and insurance company agents alike. In addition to having extensive experience handling motor vehicle accident lawsuits, our attorneys are also skilled at overseeing product liability cases, insurance bad faith cases and various other types of personal injury cases. There’s no better time than the present to set up a free, no obligations initial consultation with our Phoenix car accident lawyer. Call us today at (602) 240-5525 or send us an email using the form at the bottom of this page. Headquartered in Phoenix, we also serve clients throughout the state of Arizona.